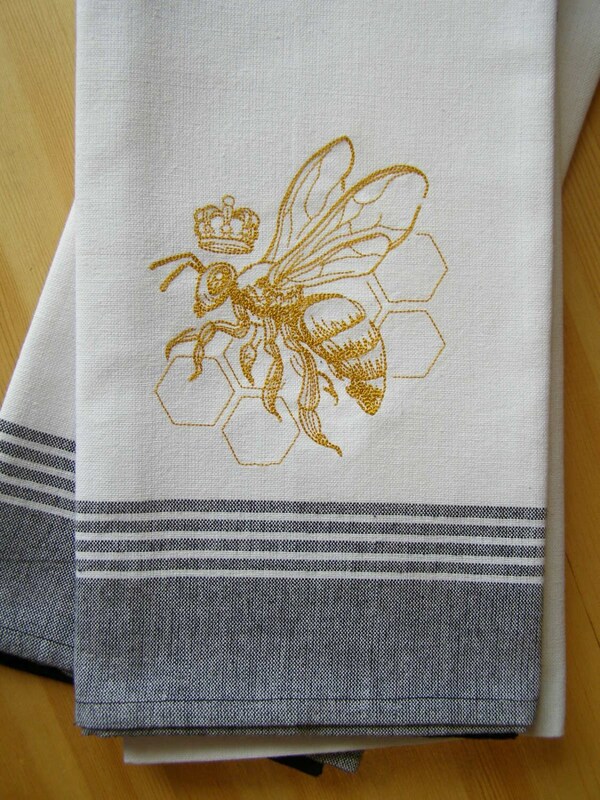 A Queen bee is embroidered on this 100% cotton black and white kitchen towel. These hand towels are meticulously detailed and extra attractive. The vendor responds to inquires almost immediately. Highly recommended! These are more lovely in person and perfect gift set with honey. Great coloring and stitching. Shipping was quick. Was shipped promptly and arrived in good condition. 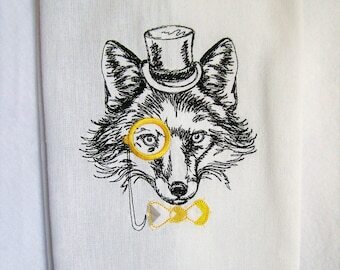 A good quality piece of linen.